Your liver, located on the right side of your abdomen below your diaphragm, plays a vital role in detoxifying your blood, breaking down toxins to rid them from your system. The health of your liver could be compromised if you're overweight or drink alcohol regularly. Lemon water is good for the health of your liver because it reduces inflammation and oxidation in the liver. According to a study published in 2014 in "Clinical and Experimental Pharmacology and Physiology," a compound found in lemons called naringenin calms liver inflammation. In 2003, "Life Sciences" reported results of a study indicating that eriocitrin, a flavonoid in lemons, protects your liver against exercise-induced oxidative stress. Other causes of oxidative stress, like tobacco and radiation, were not examined. One lemon contains 40 percent of your recommended daily intake of vitamin C. A study published in "Nutrition Journal" in 2003 found that vitamin C also reduces oxidative stress. It was found to inhibit the development of fatty liver disease in rats. Is Lemon Water Good for Type II Diabetics? 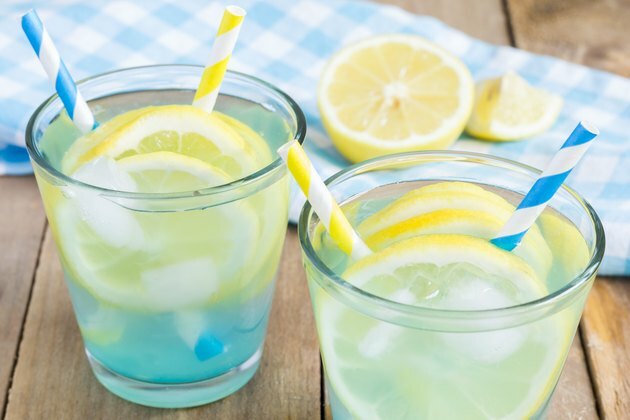 Is Drinking Lemon Juice Good for You?